Create the perfect experience, which embodies the eccentric bond between you and your partner with the spectacular setup. 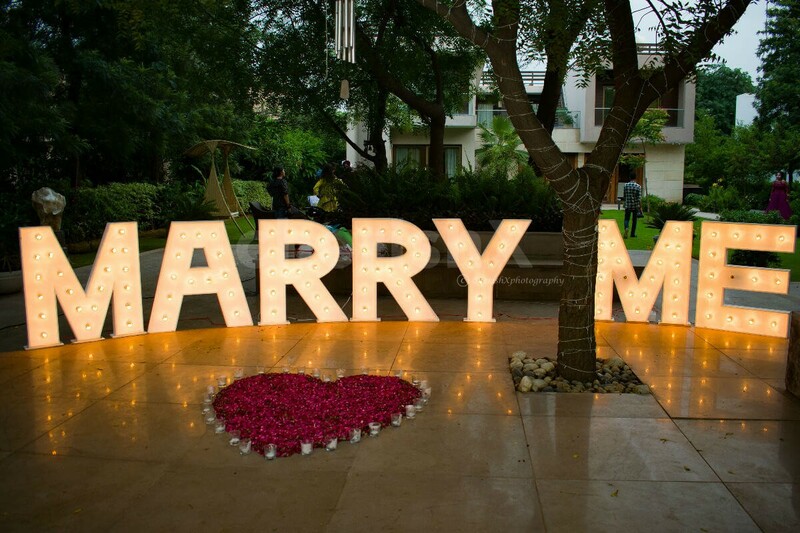 Start your journey to a perfect wedding with a perfect proposal of your dreams without any worries. Commit spending your lives together with amazing confetti explosives and captivating decor. Memories that last a lifetime! 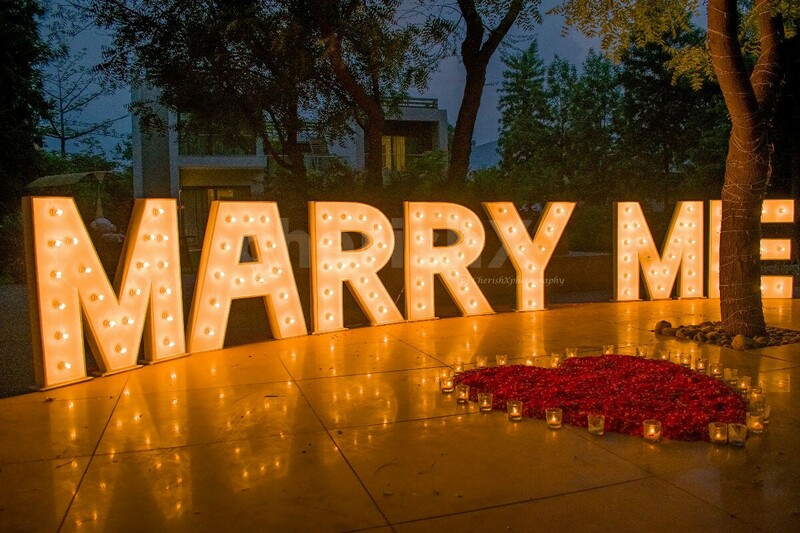 With the huge LED ‘Marry Me’ letters standing bright and tall, sweep your ‘BAE’ of their feet with a romantic experience that is both memorable and unique. The fragrant Rose petals and lovely candles all over the space would not fail to let your partner know of how special they are for you. 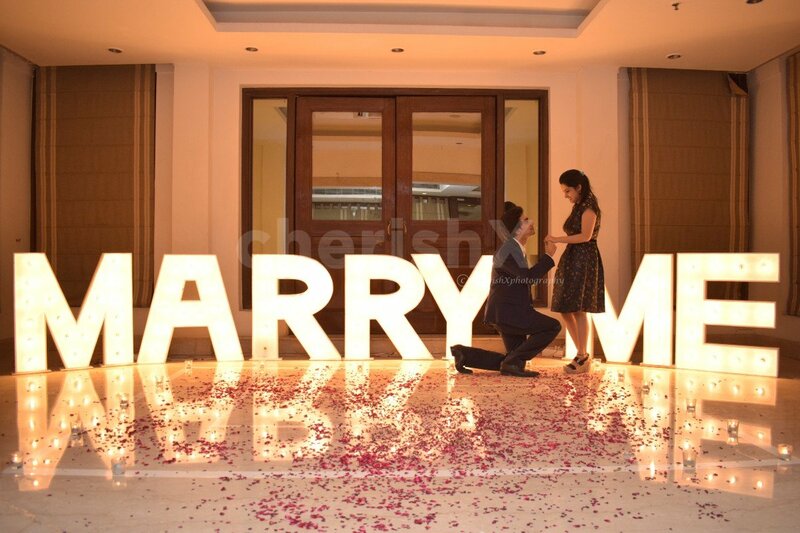 Express your deepest feelings with a personalised touch by picking out a place of your choice, making the proposal meaningful. 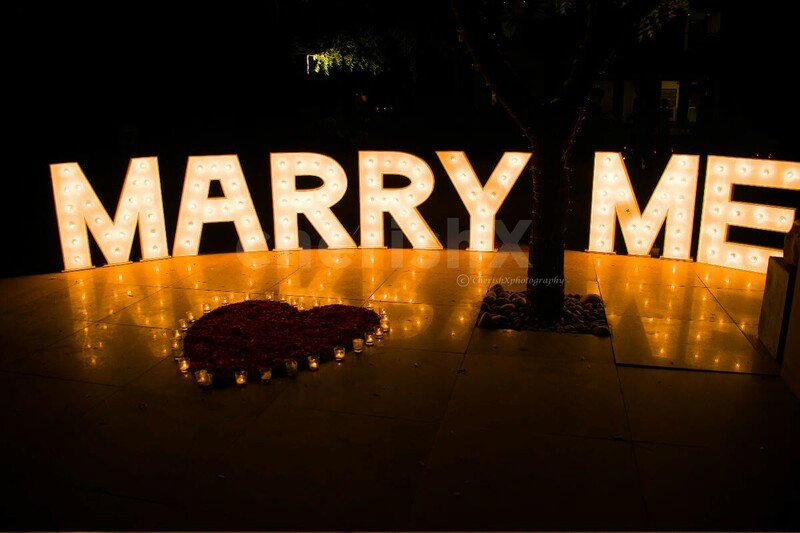 When the butterflies in your stomach finally stop fluttering, draw a close your proposal by letting your love touch the sky with incessantly burning paper lanterns. You can make the question pop in even more special way by adding a guitarist or cake from the customisations. Big LED Letters - M.A.R.R.Y. M.E. Add that extra special touch - Arrange a guitarist to sweep your partner off his/her feet! 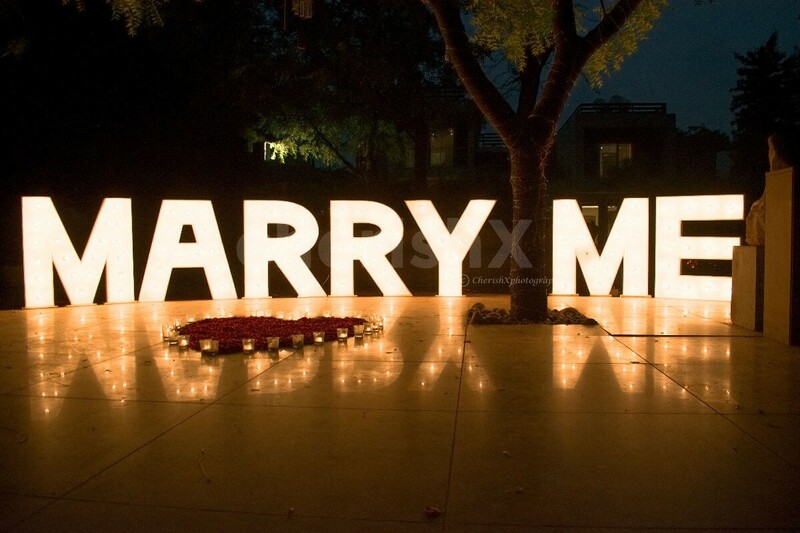 You need to provide for electricity connection point near the setup location to light up the letters. Choose a 2 hour time slot. Before this time all the set up will be done. After your chosen 2 hour window this setup would be picked up and taken back.